← Maratus voltans, spider supreme! "I made this piece as a proposal for a client, but as it was nearing completion I realized it was a bit too creepy for their needs. 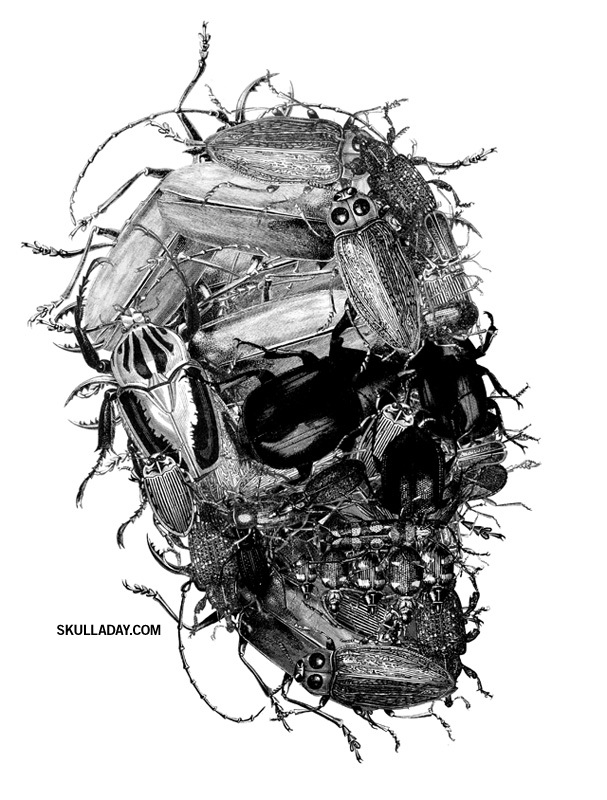 Ah well, it was fun to make regardless..."
This entry was posted in art and tagged 3crows, Noah Scalin Beetle, skull. Bookmark the permalink.